EUR has been empowered by the positive economic reports in euro zone such as Consumer Price index and EU’s Industrial Production. The support rests at 1. 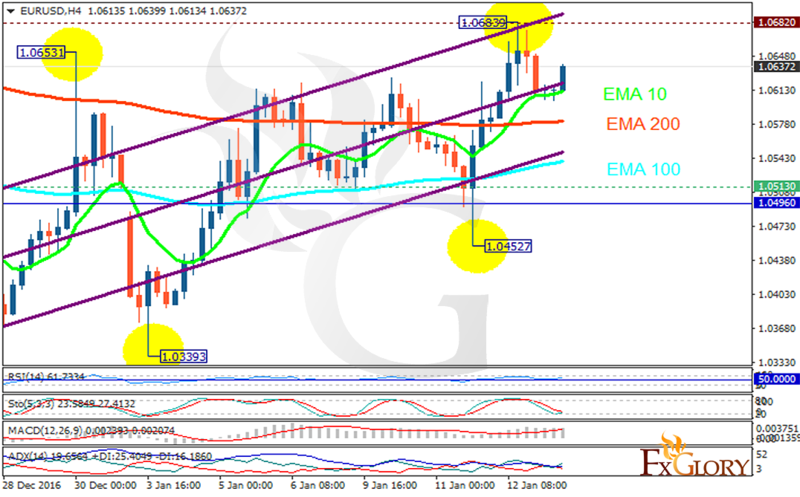 05130 with resistance at 1.06820 which both lines are above the weekly pivot point at 1.04960. The EMA of 10 is moving with bullish bias along the ascendant channel and it is above the EMA of 100 and the EMA of 200. The RSI is moving above the 50 level, the Stochastic is moving in low ranges and the MACD indicator is in positive territory. The ADX is showing a weak buy signal. The chart seems bullish at the moment; the pair may grow to 1.071 area.